In September 2017 we had the great privilege of becoming campus pastors for a Joy Church Eugene outreach on the University of Oregon campus, Joy Church UO, for the 2017/2018 school year. We began meeting on campus at the historic Gerlinger Hall. We were surrounded by a great team of servant leaders who joined us in this amazing adventure. We loved being with college students each week and seeing God move in their lives. We feel it was a great privilege for us to be involved in what God is doing on the University of Oregon campus. While serving as a part of Joy Church Eugene/Joy UO, I had the great privilege of preaching the Sunday morning message on the main campus twice in early 2018. My messages were called A New Look at Prayer and Abiding in Him. We genuinely loved serving and being connected to our Joy Church family. The first part of 2018 we began to feel it was time for us to relocate back to North Carolina, where we lived from 2000 to 2009. Returning to NC to be closer to our kids and grand kids was only one of the motivating factors. Darla’s mom asked us to “take her home.” Home to NC – where she was born, where her husband is buried and where many of her family lives. And of course, we believe God has a plan for us in NC. So on May 31 we loaded up a 28’ moving truck and took 12 days to drive cross-country, stopping to spend time with family along the way. We now have a wonderful home here in Valdese, NC. Many times already, our home has been filled with much joy, love and laughter, surrounded by family and friends. It has done our hearts good to be closer to our kids and grandkids, and we are so grateful for this. We have been in an interesting, and somewhat challenging, season of late. For the last few years we have been serving as full-time caregivers for Darla‘s mom, Margaret (who is dealing with age related issues), as well as her disabled sister, Becky, and disabled brother, Tyler. Though this makes it necessary for us to mostly remain close to home and unable do a lot of active “ministry” at this time, we are confident we are doing what the Lord has led us to do in this season. The word “ministry” is a bit interesting. Often our western idea of “ministry” generally relates to preaching, teaching or going to the mission field to plant churches and dig wells. The actual Greek word simply means “serving”. When we came off the mission field in 2011 to take care of my dad, I had an interesting experience one day. I was getting my dad dressed, kneeling to put his socks on, and I heard the Lord say to me, “Welcome to the ministry.” Later that morning in my prayer time, I asked Him if He really meant that me taking care of my dad is as important to Him as praying or preaching in a foreign country. 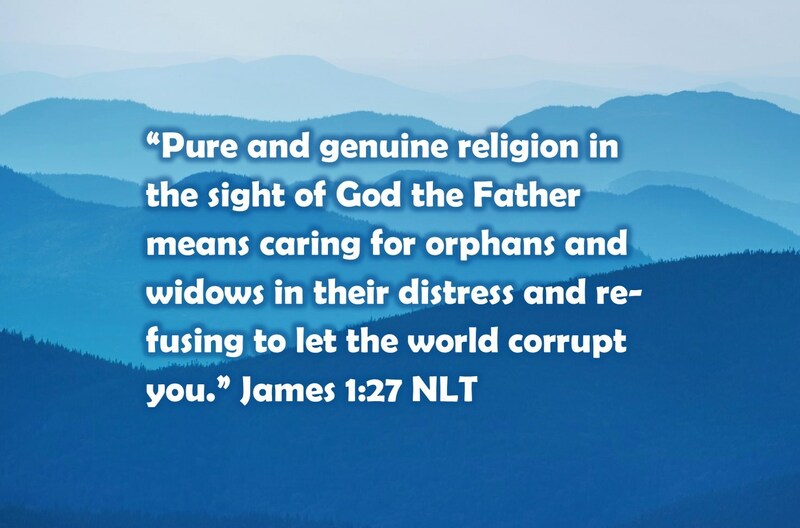 He said, “If it’s what I’ve asked you to do, it is.“ I believe God is very serious about us caring for aging parents. So are we active in ministry? I believe the answer is yes. We are continuing to minister to and pray for young adults on a regular basis; whether it’s in person, or by phone, text or FaceTime. As a father and mother in the faith, it is our delight to mentor, counsel, strengthen and encourage them.. We love young adults and are looking forward to other relationships He will open up to us. Along with preaching and teaching about praying for the nations, I have been giving a good amount have time to doing specifically that. I felt led to produce a video and write an article about the importance of prayer for the nations. I had the privilege of having the article published in an online magazine called Prayer and Praise Magazine. 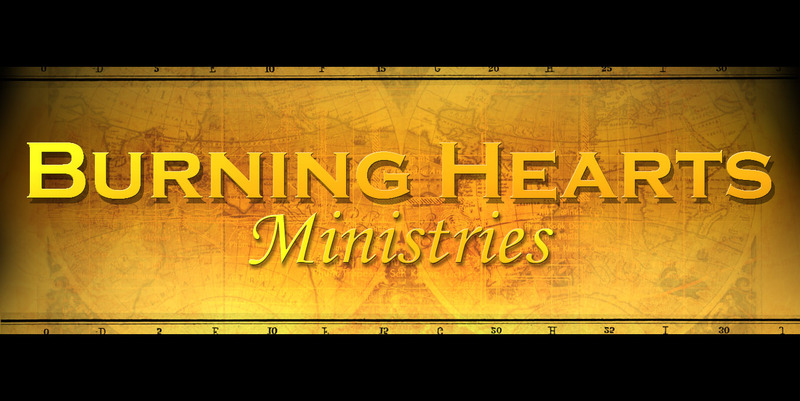 I am endeavoring to encourage as many people as possible towards prayer. 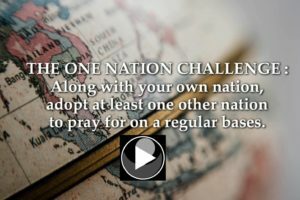 In the article I talk about the “One Nation Challenge.” I am challenging people to adopt at least one nation to pray for on a regular basis besides their own. Will you please personally consider joining this challenge? Click “play” on the picture to read the article and watch the video. Thank you for taking the time to read our newsletter. We pray that 2019 will be a great year for you. May you be blessed, encouraged and strengthened as God shows himself strong on your behalf. Direction and open doors for ministry in North Carolina, the US, and the nations. 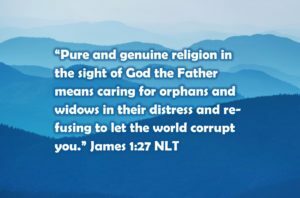 Making the right connections with pastors and leaders. Protection for our kids and grandkids. You can also go HERE and click on “Donate” to give through PayPal.